4k00:10Connection Grey World Map Loop. 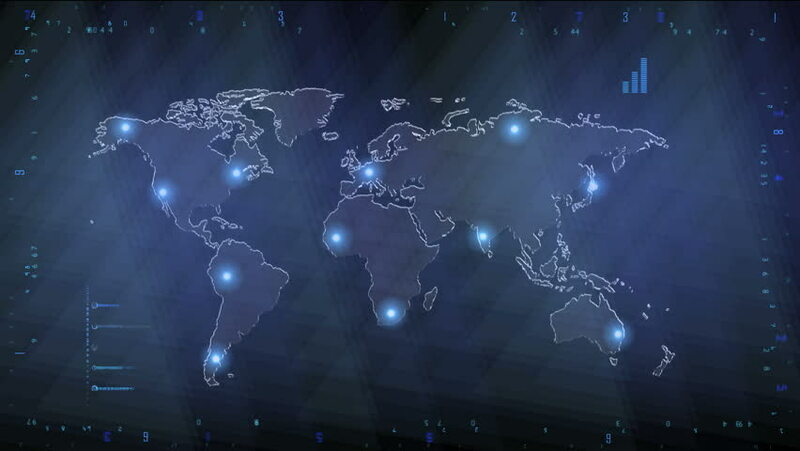 This animated World map with visual effects and flying glowing connections in different places on the map.Perfect for slideshows, presentation, trailers and etc. 4k00:10Ice blue Sci-Fi movies hologram map looped with the high-quality 3D render of ways of connections and paths connecting together like high technology screen map . 4k00:20The Decreasing Diagrams on the World Map. In video there is a diagram decreases. This video perfect fits for business projects, economic promotions, scientific presentations, social projects, etc. 4k00:20Decreases Diagram on the World Map. The video of animated diagrams on the World map background. There are also animated glowing round connections in different cities on the world map.